Junias (not found elsewhere, probably short form of the common Junianus); a Jewish convert to Christianity who was imprisoned with Paul Ro 16:7. The possibility, from a purely lexical point of view, that this is a woman’s name, Junia; ancient commentators took Andronicus and Junia as a married couple, is probably ruled out by the context (Arndt & Gingrich 1957:381). So to be so adamant that you put in bold and underline that Andronicus and Junia are ‘two men‘ is hardly in keeping with the Greek lexical possibilities. Junias: The patristic commentators seem to have taken the word as feminine, Junia, and understood Andronicus and Junia as husband and wife. They were Paul’s kinsfolk, probably fellow Jews. They were fellow prisoners of him, in jail together or they shared the same fate as he. ‘Outstanding among the apostles’ might mean that the apostles held them in high esteem or that they were apostles, and notable apostles at that. The latter understanding does more justice to the Greek construction. This couple seemed to have belonged to the wider apostolic circle (the circle of apostles was wider than the 12 according to the NT). A leading Greek exegete and commentator does not agree with the view that Andronicus and Junia were ‘two men’. “And indeed to be apostles at all is a great thing. But to be even amongst those of note, just consider what a great encomium this is! But they were of note owing to their works, to their achievements. Oh! how great is the devotion of this woman, that she should be even counted worthy of the appellation of apostle!” (Chrysostom, Homily on the Epistle of St. Paul the Apostle to the Romans XXXI). Chrysostom’s dates were ca. AD 347-407 (Cairns 1981:141). So by the 4th century his understanding was that Junia was a female apostle, and a noteworthy one at that. Could it be that Chrysostom got it correct and some have got it wrong since then? Could it be that the opposition to women in public ministry is unwarranted? Could gifted women have been closed down by the male chauvinism in the ministry? I write as a male and I’ve read a lot against women in ministry by males. I am not of that view. The identity of Andronicus’s “partner” is a matter of considerable debate. The problem arises from the fact that the Greek form used here Iounian, depending on how it is accented, could refer either (1) to a man with the name Junianus, found here in its contracted form, “Junias” (cf. NIV; RSV; NASB; TEV; NJB); or (2) to a woman with the name of Junia (KJV; NRSV; REB). Interpreters from the thirteenth to the middle of the twentieth century generally favored the masculine identification. But it appears that commentators before the thirteenth century were unanimous in favor of the feminine identification; and scholars have recently again inclined decisively to this same view. And probably with good reason. For while a contracted form of Junianus would fit quite well in this list of greetings (for Paul uses several other such contractions), we have no evidence elsewhere for this contracted form of the name. On the other hand, the Latin “Junia” was a very common name. Probably, then, “Junia” was the wife of Andronicus (note the other husband and wife pairs in this list, Prisca and Aquila [v. 3] and [probably], philologus and Julia [v. 15])…. In two relative clauses Paul draws the attention of the Roman Christians to the stature of this husband and wife ministry team. The first description might mean that Andronicus and Junia were “esteemed by the apostles.” But it is more natural to translate “esteemed among the apostles.” And it is because Paul calls Junia(s) an “apostle” that earlier interpreters tended to argue that Paul must be referring to a man; for they had difficulty imagining that a woman could hold such authority in the early church…. But many scholars on both sides of this issue are guilty of accepting too readily a key supposition in this line of reasoning: that “apostle” here refers to an authoritative leadership position such as that by the “Twelve” and by Paul. In fact, Paul often uses the title “apostle” in a “looser” sense: sometimes simply to denote a “messenger” or “emissary” and sometimes to denote “a commissioned missionary.” When Paul uses the word in the former sense, he makes clear the source and purpose of the “emissary’s” commission. So “apostle” here probably means “traveling missionary” (Moo 1996: 923-924). 27 Now you are the body of Christ and individually members of it. 28 And God has appointed in the church first apostles, second prophets, third teachers, then miracles, then gifts of healing, helping, administrating, and various kinds of tongues. 29 Are all apostles? Are all prophets? Are all teachers? Do all work miracles? 30 Do all possess gifts of healing? Do all speak with tongues? Do all interpret? 31 Butearnestly desire the higher gifts. illustrates that diversity [of ministry gifts] by means of another considerable list (cf. vv 8-10), which has several remarkable features: (1) He begins with a list of persons (apostles, prophets, teachers), whom he ranks in the order of first, second, third. (2) With the fourth and fifth items (lit. “miracles” and “gifts of healings”) he reverts to charismata, taking two from the list in vv. 8-10. These are both prefaced by the word “then,” as though he intended the ranking scheme to continue. (3) The sixth and seventh items (lit. “Helps” and “guidances”), which are deeds of service, are noteworthy in three ways: (a) they are the only two not mentioned again in the rhetoric of vv. 29-30; (b) they are not mentioned again in the NT; © they do not appear to be of the same kind, that is, supernatural endowments, as those on wither side (miracles, healings, tongues)…. That leads to the further question, Does Paul intend that all of these be “ranked” as to their role or significance in the church? To which the answer seems to be No. He certainly intends the first three to be ranked. One might argue also for the rest on the basis of the “then … then” that prefaces the next two. But that seems unlikely…. The gift of tongues … is not listed last because it is least but because it is the problem. As before, Paul includes it because it is a part of the necessary diversity; but he includes it at the end so that the emphasis on diversity will be heard first. Why, then, does Paul rank the first three? That is more difficult to answer; but it is almost certainly related to his own conviction as to the role these three ministries play in the church. It is not so much that one is more important than the other, nor that this is necessarily their order of authority, but that one has precedence over the o0ther in the founding and building up of the local assembly…. (1) First, apostles…. It is no surprise that Paul should list “apostles” first. the surprise is that they should be on this list at all, and that he should list them in the plural…. For Paul this is both a “functional” and “positional/official” term. In keeping with the other members on this list, it is primarily “functional” here, probably anticipating the concern for the “building up” of the body that he has already hinted at in v. 7 and will stress in chap. 14. Most likely with this word he is reflecting on his own ministry in this church; the plural is in deference to others who have had the same ministry in other churches (Fee 1987:618-620). Thus, Gordon Fee understands the role of an apostle to be the ministry gift for the founding of churches. Surely such a role is necessary and continues today! And Paul to the Romans (16:7) affirms that that can be the role of a female apostle. An eminent church father of the fourth century, John Chrysostom, does not agree that Junia was a male. He not only supported the view that she was a female apostle, but also was a noteworthy apostle. He is closer to the time of the apostles than those of us in the 21st century. Did he know more about this issue of supporting women in public ministry than contemporary church folks? The role of an apostle is hierarchically fist in order (not of authority) in the founding of local churches. This role continues in the 21st century. Cairns, E E 1981. Christianity through the Centuries: A History of the Christian Church, rev & enl edn. Grand Rapids, Michigan: Zondervan Publishing House. Fee, G D 1987. The New International Commentary on the New Testament: The First Epistle to the Corinthians. Grand Rapids, Michigan: William B. Eerdmans Publishing Company. Moo, D J 1996. The Epistle to the Romans. Grand Rapids, Michigan / Cambridge, U.K.: William B. Eerdmans Publishing Company. Morris, L 1988. The Epistle to the Romans. Grand Rapids, Michigan: William B. Eerdmans Publishing Company / Leicester, England: Inter-Varsity Press. Christian Forums, Baptists, ‘Women preachers’, DeaconDean #145. Available at: http://www.christianforums.com/t7707393-15/#post62296957 (Accessed 31 January 2013). I have been interacting on this site as OzSpen. This entry was posted in Women in Ministry on 31 January 2013 by spencer. Can the Sermon Be Redeemed? I attended a Sunday morning church service at which the pastor was preaching the second of his series on homosexuality. Last week we were given notice that today’s preaching would be from Romans, chapter 1. The passage was well chosen (Romans 1:21-32 NIV) but the preaching added to my belief that the sermon needs to be radically changed — redeemed. This sermon did not provide a clear understanding of Paul’s teaching on homosexuality in this critical passage. There was more from the preacher’s mind than the text in this talk. It could hardly be called a sermon if one looks to the biblical text for the content of a sermon. A fog in the pulpit does that! At the beginning of the sermon, the preacher warned that he was not clear about the message, so he might transfer that in the presentation. He did not disappoint. The preacher included a few Greek terms that he found difficult to pronounce. It was obvious that he didn’t use much of his Greek knowledge from theological college. These Greek words related to use of the words translated as “passions” or “lusts” in Romans 1 that were supposed to be associated with homosexuality. I left the service with no biblical enlightenment on this subject of vital contemporary importance. What message was conveyed by this confusion? What’s more, it confirmed my deep disappointment with preaching in evangelical churches here in my home country of Australia. Let me assume you are an American. Did you know that you have never sat in a church building and experienced an organic expression of the church of Jesus Christ? When you walk into a church service on Sunday morning, pews, pulpit, etc., you are participating in a ritual the British brought to us, back in the early 1600’s! That ritual is just not us. Sunday church is a foreign import. Dumped on us by foreigners! And we now dump it on foreigners! Where did the British get this abominable ritual? From Geneva, Switzerland. John Calvin did it! The thing is man-made. Man contrived. The ritual which man concocted. An accident of church history. But today it is – you might say – more entrenched than the Bible. . .
d. The didactic and homiletical dimensions of worship were based on the Hebrew Scriptures and included a lesson from the Law (called parasha), one from the Prophets (haphthara), and a “paraphrase or commentary and homily (midrash).”  The lessons from the Law and the Prophets were in the Hebrew language while the midrash was in the language of the common people, the vernacular – usually Aramaic or Greek. f. Jesus and his disciples worshipped in the synagogue. As long as they were tolerated, the early Jewish disciples of Christ continued this practice. We know that Paul, the apostle, preached Christ in the synagogues of Damascus, Cyprus, Antioch in Pisidia, Amphipolis, Berea, Athens, Corinth and Ephesus. In Corinth, Paul “reasoned in the synagogue every Sabbath, and tried to persuade Jews and Greeks” (Acts 18:4). g. For Christians who were redeemed out of Judaism, there was a natural tendency to follow Jewish patterns of worship. The Jewish Christians, at least in Palestine, conformed as closely as possible to the venerable forms of the cultus [worship] of their fathers, which in truth were divinely ordained. . . and celebrated, in addition to these, the Christian Sunday, the death and resurrection of the Lord, and the holy Supper. But this union was gradually weakened by the stubborn opposition of the Jews, and was at last entirely broken by the destruction of the temple, except among the Ebionites and Nazarenes. New Testament ministry, according to I Corinthians, involved the ministry of the priesthood of all believers when the church gathered. This is very different from the formal synagogue model. Therefore, has the contemporary church more in common with the synagogue model than the open ministry of the Corinthian church? In spite of the problems in the Corinthian church, there is no indication in Paul’s correction that the church must revert from expression of the gifts of all believers to practise more formalism. I am not convinced that today’s church format must be laid at the feet of John Calvin’s Genevan model. It is more probable that we have been disobedient to the authoritative teaching of every-member ministry with I Corinthians 12-14 providing the examples. g. What was the nature of the sermon or homily? Apart from the description of the apostle Paul’s teaching to the Corinthian Church (I Cor. 12-14), little is known about the nature of Christian worship until about the second century. The earliest description of the Christian worship is given by a heathen, the younger Pliny, A.D. 109, in his well-known letter to Trajan, which embodies the result of his judicial investigations in Bithynia. According to this, the Christians assembled on an appointed day (Sunday) at sunrise, sang responsively a song to Christ as to God, and then pledged themselves by an oath not to do any evil work, to commit no theft, robbery, nor adultery, not to break their word, nor sacrifice property intrusted (sic) to them. Afterwards (at evening) they assembled again, to eat ordinary and innocent food (the agape). This account of a Roman official then bears witness to the primitive observance of Sunday, the separation of the love-feast from the morning worship (with the communion), and the worship of Christ as God in song. On Sunday a meeting of all, who live in the cities and villages, is held, and a section from the Memoirs of the Apostles (the Gospels) and the writings of the Prophets (the Old Testament) is read, as long as the time permits. When the reader is finished, the president, in a discourse, gives an exhortation to the imitation of these noble things. After this we all rise in common prayer. At the close of the prayer . . . bread and wine with water are brought. . . The evidence concerning the content of the early church’s teaching / preaching / sermonising is scant. We do not have enough information concerning its structure and actual content. However, this we do know: The church at Corinth was given one of the clearest examples of what should happen when the church gathers as a community of believers. (See I Cor. 12-14.) This we do know: The Corinthians had problems with division among them and following favourite preachers (see I Cor. 3:1-9). However, when they met together as believers of the Corinthian assembly, it was open ministry for all who were gifted by the Holy Spirit. It should be nothing less for today’s church. Believers who meet together for worship and ministry need to be open for every-member ministry as the Holy Spirit leads. This is very different to what happens in the contemporary Australian church where most believers are mute. We are being cheated as we fail to function as God requires. Until about the close of the second century the Christians held their worship mostly in private houses, or in desert places, at the graves of martyrs, and in the crypts of the catacombs. This arose from their poverty, their oppressed and outlawed condition, their love of silence and solitude, and their aversion to all heathen art. The apologists frequently assert, that their brothers had neither temples nor altars (in the pagan sense of these words), and their worship was spiritual and independent of place and ritual. . . Justin Martyr said to the Roman prefect: The Christians assemble wherever it is convenient, because their God is not like the gods of the heathen, inclosed (sic) in space, but is invisibly present everywhere. Clement of Alexandria refutes the superstition, that religion is bound to any building. . .
Open ministry, allowing for all who are gifted by the Holy Spirit to function with the assembly gathers, is limited in large gatherings. The house church, however, makes such opportunities possible. Has the church building and the larger gathering inhibited proper biblical functioning when the church gathers? I believe so. My experience at the church service on this Sunday morning is not an isolated one. From liberal, evangelical, Pentecostal and charismatic churches of many persuasions, I observe that the problem is in epidemic proportions. What are the problems? When it comes to teaching and preaching God’s Word, I am speaking of preachers who don’t know how to exegete the Scriptures to prepare for preaching. They fail to expound the Scriptures so that I understand the main theme of the passage with clarity and take home applications that are relevant to where I live and work. The pastor who failed to speak clearly on the topic of homosexuality from Romans 1 is preaching a series on the Sermon on the Mount (Matt. 5-7) and the “fog” continues. He waffles around some themes associated with the text, fails to grab my attention or that of my wife, and then forgets about a sound exposition of the content of that passage. I am not convinced that he knows how to do it, but the issue is deeper. Does he even want to expound the text properly? I have spoken with him about this lack of exposition; he listened, but nothing has changed. The fog returns for every sermon. Perhaps you are saying, “Why don’t you go elsewhere?” That could be an option but the fog exists in most of the other churches as well. I live in a regional Australian city of 40,000 people (65,000 if the surrounding district is included). There is one church where the Word is expounded with clarity, but the worship service is hyper conservative and very boring. However, that service seems to be the only viable option in my area. The historical investigation into the meaning of the biblical text. Exegesis, therefore, answers the question, What did the biblical author mean? 2. Three types of preaching? It seems reasonable to examine briefly three different types of sermons that are delivered in the contemporary church. The preacher must become very competent at exegesis in his or her preparation of a sermon but is urged never to preach an exegetical sermon. Exegesis is designed to come to life in the expository sermon. Expository preaching is the communication of a biblical concept, derived from and transmitted through a historical, grammatical, and literary study of a passage in its context, which the Holy Spirit first applies to the personality and experience of the preacher, then through him to his hearers. One of the reasons I preach verse by verse is because I could never produce such inspiring, clever, creative, topical sermons week in and week out as he [Spurgeon] did. He had an immensely creative imagination. I just don’t have that, nor do many other preachers that I know. Where creativity is strong, so is the danger that it can turn a preacher away from the exposition of Scripture. We need to guard against this without suppressing legitimate creativity. MacArthur concludes that “preaching verse by verse through books of the Bible is the most reasonable way to teach the whole counsel of God.”My concern is with the lack of content in preaching in Australia today. Expository preaching will redress this serious situation. I hope you noticed what I did in this section. I dealt with topical, exegetical and expository sermons. I have argued from the contemporary experience of the church. This section, “Three Types of Preaching” is not driven by a biblical agenda. It is based on what I observe being preached in the church today. Wouldn’t it be better to go to the Scriptures for examples of preaching, exhortation and exegesis? 3. Why the crisis in contemporary preaching? We seem to be stuck with oratory or entertainment from the pulpit (some preachers run the entire service, including the children’s story). A Christian I know attended a church where the pastor was performing “acrobats” (well, prancing & dancing around) on the platform while he preached. He tripped and fell backward off the platform. It’s a blessing that he did not sustain severe physical damage to himself. I long for some solid input from the pulpit that challenges me with the word of God, applies it to my life situation, but is not an invention from the mind of the pastor. I’m tired of psychological theory and practice masquerading as preaching. I have heard zilch on a biblical understanding of what happened on September 11, 2001 in the USA. Are my expectations for preachers and preaching too high? Or has preaching slipped to such a low ebb in this and other parts of the world that it needs to be redeemed? Nowhere in the total curriculum of theological studies has the student been more deserted and left to his own devices than in bridging the yawning chasm between understanding the content of Scripture as it was given in the past and [in] proclaiming it with such relevance in the present as to produce faith, life, and bona fide works. Why is there this crisis in contemporary preaching? These are observations and not definitive conclusions. Are the gifted making themselves available? Is the teaching gift being recognised by the church? I know of a deacon in a local church who is being forced to preach. He doesn’t want to preach and listening to him confirms that his gift is not preaching. We live in a mass media culture. Can the preacher compete? Has the preacher lost his or her authority? In the face of society’s scorn – or being relegated to a box labeled PRIVATE and SPIRITUAL – many preachers struggle with the issue of authority. Why should anyone pay attention to us? What is the source of our credibility? In such a climate, how can we regain the legitimate authority our preaching needs to communicate the gospel with power and effect. Who says that there is a crisis? Too many lack a teaching gift and the churches put up with a low standard. Is the shortage of pastors in some denominations causing acceptance of a standard of preaching that would otherwise be unacceptable? The Protestant church sermon, pews, rows, pulpits and the paraphernalia of the ensuing ritual [are] lifeless, boring and spiritually killing! Vast multitudes of God’s people – from one end of this planet to the other – will stop gathering, out of utter boredom! Millions have already. Millions more join their ranks every year. There is widespread biblical illiteracy in the pew. To “equip the saints for the work of ministry” (Eph. 4:12) is a forgotten practice for many pastor-teachers. We must return to the biblical mandate of equipping believers for the ministries that God has given them. Obviously this relates to honing the gifts that God has already given to believers. This is for the purpose of “building up the body of Christ, until we all attain to the unity of the faith and of the knowledge of the Son of God” (Eph. 4:12-13). Since quality preaching is in such short supply these days from the pastor-teacher role in my part of the world, it is rare for the laity to be equipped for solid preaching. We urgently need a return to equipping gifted believers for the practice of preaching. However, a pastor-teacher’s modelling through his own preaching would be exemplary for lay preachers. c. Is there any help or hope for the sermon? 1. Can the sermon, in a practical sense, be rescued from its present demise into personal opinions, psychologised banter, general irrelevance, speaking around the topic, and hype? That explains precisely what the Word of God says about the issues of our day, the concerns of our lives, and the destines of our souls. . . [It] offers a voice of authority not of human origin, and promises answers not subject to cultural vagaries. This definition by Bryan Chapell was particularly referring to “expository preaching,” but its application could just as easily be applied to those who want to preach topical sermons that are Bible-based. Of the 15 evangelical and Pentecostal/charismatic churches my wife and I have visited (we’ve been a member of one of them for most of that time) over the last 8 years in our city (this covers most of the churches that say they believe the Bible), only one seriously and consistently expounds the Word of God. These expositions are excellent in covering biblical content but often don’t seem to connect with today’s generation. William Hendriksen confirms the need for preaching to be vibrant and God-focussed: “Genuine heralding or preaching is lively, not dry; timely, not stale. It is the earnest proclamation of news initiated by God. It is not the abstract speculation on views excogitated by man.” Walter Kaiser agrees: “Nothing can be more dreary and grind the soul and spirit of the Church more than can a dry, lifeless recounting of Biblical episodes apparently unrelated to the present.” Paul, to the Ephesian elders, in Acts 20 said that he had “not hesitated to preach anything that would be helpful to you but have taught you publicly and from house to house” (v. 20). That which was “helpful” was “the whole will/counsel of God” (v. 27). Should such a goal be less stringent for today’s preachers? My homiletics courses at Bible college and seminary encouraged me to give time for thorough preparation of exegesis and exposition using solid homiletical principles. The organisation of the sermons I have heard over the last few years has been poorly structured, as a general rule. This means that I go away with few means to remember the thoughts of the sermon. I look for an introduction, structure, conclusion, with sound content that attempts to communicate. But it is often missing in most of the churches my wife and I have visited. I guess a sermon at a local church a few weeks ago capped it off. My wife called it “a nice little psychological talk, but it was an insult to call it a sermon.” The pastor was trying to show how men need to understand women to be able to communicate effectively in marriage. The leader of the service read I Peter 3:7, “Likewise, husbands, live with your wives in an understanding way, showing honor to the woman as the weaker vessel, since they are heirs with you of the grace of life, so that your prayers may not be hindered” (ESV). This was the only Bible verse read in the entire service. The pastor never even attempted to draw out what the verse was saying. There was no structure, but lots of homespun humour from the pastor’s own marriage wrapped in current psychobabble of what women need from men in marriage. But forget about exposition, structure and preaching for biblical change! Although a knowledge of the original languages of the Bible helps preachers prepare accurate exegesis, it is not absolutely essential to biblical preaching. A preacher can still prepare sound, connecting and challenging biblical preaching (expository or topical). All one needs is half a dozen literal and paraphrased versions of the English Bible (e.g. NASB, RSV, NRSV, ESV, NIV, GNB, REB, NJB) to show the variations in meaning or interpretation of certain words, grammar and syntax. For pastors who want to improve their public speaking skills, there are local groups such as Rostrum and Toastmasters Clubs that will provide helpful practice and critique for all public speakers. I highly recommend that pastors mix with people in these groups and learn the process of how to communicate with a cutting edge in their public presentations. If we are to see a return to biblical preaching, whether that be expository or topical, it will require a movement by both preachers and laity. Preachers need to be convinced of their biblical responsibility before God. generally [to] the divinely authorized proclamation of the message of God to men. It is the exercise of ambassadorship.… The herald brings God’s message. Today in the work of ‘heralding’ or ‘preaching’ careful exposition of the text is certainly included. But genuine heralding or preaching is lively, not dry; timely, not stale. “Reprove” those who are in error. “Rebuke” or warn those who do not heed the correction. Isn’t this a marvellous balance! Those committing error must be corrected; those who do not heed the correction are warned, but it must all be done with a fatherly comforting and encouragement. This is biblical Christianity in action – correction with tenderness! The preacher must do this with “complete patience and teaching.” The “complete patience” or “great patience” (NIV) is necessary because of what will happen among the people who hear him: “For the time is coming when people will not endure sound teaching, but having itching ears they will accumulate for themselves teachers to suit their own passions, and will turn away from listening to the truth and wander off into myths” [2 Tim. 4:3-4]. This was a solemn warning to the preachers and people of the first century. It is just as current 2,000 years later. Jesus was not God on earth. He was human and the Holy Spirit came upon him. Christians have no sinful nature and do not sin. When Jesus became sin for us on the cross, this gave an opening for Satan to get in and Satan killed Jesus on the cross. Even though I presented his views, word-for-word from the cassette tape of the message, he would not admit his unorthodox doctrine. As I presented the biblical evidence to refute him, he agreed with me, but did not admit that he was teaching any error. He said that I would understand him better if I heard the context — the messages before and after this one. I disagreed, saying that context does not correct the error that he preached on this one day that I visited his church. I believe he was confused because of his exposure to other heretical doctrines that he is hearing and reading. He made statements like, “We do not sin in the spirit man.” Much of his theology seems to be filtered through a particular aberration of trichotomy (body, soul and spirit) and its implications for the believer. In spite of the preference by some people (listeners) for myths, unsound teaching and “itching ears” for more error to “suit their own passions” (2 Tim. 4:3-4), the preacher must continue “teaching” God’s truth. It is time for pastor-teachers to take seriously their ministry “to equip the saints for the work of ministry” (Eph. 4:12). Equipping the believers for their ministry seems to have been lost from many congregations. Shouldn’t it be the role of theological colleges and local churches to train pastors in effective sermon preparation and presentation, and follow up with refresher courses for pastors? The need is desperate for pastors who know how to preach the Word and “rightly divide the word of truth.” Is this not considered an important requirement for any preacher, by both preacher and people? It is time for the people in the pew to require a higher standard from the pulpit. Are their expectations too low, or are they timid in expressing their views? a. Solid exegesis. Tell us what the text means. This takes time and study. b. Preachers must want to learn how to expound the Word of God. There is a pastoral need to help people deal biblically with their lives so that they are ready for “meat” in preaching. Preaching with purpose should address such issues. d. As a practical suggestion, pastors need a focus group to give feedback to him or her on the impact of preaching – content and communication. A pastor-teacher could take time at the end of one sermon a month to receive honest feedback from the listeners for the last month of his sermons? This may be painful for some pastors. This is a practical way to make preaching more than one-way communication. e. Christian denominations should hold theological colleges accountable for solid training in homiletics and the colleges should offer preaching courses in cities and towns across the state at least once a year. These should be offered at strategic cities/towns across Queensland. We have a desperate need to train biblical preachers. 6. It will take . . .
a. Preachers and teachers in the church who are committed to the authority of Scripture more than the importance of one’s own opinion. Preaching to be popular with a larger audience is another danger. b. Preachers who know their Lord intimately and burn with the desire to communicate His Word accurately, but with a connection to the real world of their listeners (congregation). c. Exegesis, explanation, illustration and application by preachers. This is what is needed to expound any text. The hour is late. We need desperate Christians who require much better preaching by their pastor-teachers and pastor-teachers who are committed to what the Word of God requires of preachers. We have an abundance of resources, including self-help Greek and Hebrew language courses, commentaries, and extensive theological volumes. Now the world-wide-web gives wide access to online material in the English-speaking world. Preachers in cities and towns, especially in regional Australia, should attempt to share resources as most required books and journals for solid exegesis and exposition are not found in the local public library. I am careful in my books to document my sources, but too many references to sources would be distracting. A balance is the ideal. We cannot document every thought in our sermons. On the other hand, we should give credit where due. Pastors sometimes ask me if they can use my material. I have given blanket permission for anyone to use my sermons and preach them in whole or in part if they wish, and I do not want any credit as the source. If what I say has value to someone, I am honored for him to use it for God’s glory. The truth is all His. What’s the condition? If we use John MacArthur Jr.’s sermons, we must prepare further by “enriching it by going through the discovery process.” Well said, John! Change of desire and motivation by both preacher and people. The changes include those suggested above. A repudiation of the Greek mindset of oratory and a return to preaching that is biblically sound, interacts with people, offers challenges to live a practical Christian life, and applies the message to people where they live. I cannot see that happening without a deep knowledge of God and his Word among the people of God. Will it take a heaven-sent revival before people and preachers desire this change? D. But wait a minute! A ‘pastor’, standing behind a pulpit preaching sermons to a group of people seated in pews in a building with stained-glass windows, has absolutely no Scriptural justification whatsoever. You will never find such a scene in all first century literature. If a preacher is to obey the Word of God, is he or she to practise the role of the twenty-first century sermoniser, or is something more revolutionary needed? The word “pastor” (Greek poimen), as applied to a church role, appears just once in the entire New Testament (see Eph. 4:11). Of course it can refer to a literal shepherd of sheep or Jesus, “the good shepherd” (see Matt. 9:36; 25:32; John 10:11, 14, 16). But where is the job description for a 21st century preacher-pastor that we see across the world? Scriptural foundation than the pulpit he leans on. Martin Luther unwittingly invented the modern pastor. It cannot be returned to the principles and practice of the first century. Why? Because [twenty-first] century Christianity cannot be changed that radically; there is no way to revise a practice this far off course! No, the present religious system cannot be helped – it can only be abandoned. The latter statement sounds a bit over the top when he emphasises that “nothing is better” to “restore health and vitality to the church” than preaching. What about a comprehensive biblical view of the priesthood of all believers (e.g. I Cor. 14:26)? How about pastor-teachers who “equip the saints for the work of ministry, for the building up of the body of Christ” (Eph. 4:12)? Surely we can’t minimise the importance of discipleship (Matt. 28:19-20) and the place of trials in Christian growth (James 1:2-4). What about the practice of Christian community among believers? With enthusiasm, I endorse the call to “preach the Word” and for all believers to engage in a ministry of “rightly handling the word of truth.” But I cannot join with John Stott in the view that “nothing is better” to restore the church to health and vitality than a “recovery of true, biblical, contemporary preaching.” More radical surgery is needed! This has been a plea for the sermon to be redeemed. Based on the quality of sermons heard in local churches in the State of Queensland, Australia, where I live, such a call is long overdue. But is it a biblical emphasis? The cause of the disease in our churches is much deeper than the nature of preaching – but the sermon does need some radical reconstruction if it is to survive in the local church. The New Testament views of church life and function have been lost. Gene Edwards is on target: “When you see what the Christians of the first century were really like and what they really did, then you will suddenly realize that nothing we practice today can be found in the Scripture.” This is too harsh when he says “nothing” we practice in the church service is the same as what happened in the early church. Surely there was prayer, manifestation of the supernatural gifts of the Spirit (as in some churches today), and teaching! Redeeming the sermon is an urgent need in many churches today. Teaching the word of God is of primary importance for knowledge and growth. However, a better model would be to get back to that of I Corinthians 12-14 and the opportunity for the participation of all gifted believers when the church gathers. The biblical approach for public meetings is every-member ministry: “When you come together, everyone has a hymn, or a word of instruction, a revelation, a tongue or an interpretation. All of these must be done for the strengthening of the church” (I Cor. 14:26). 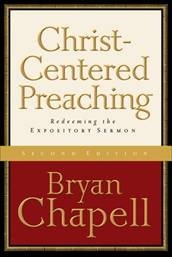 The finest book I have ever read on Bible-based sermon preparation (homiletics) has been Bryan Chapell’s, Christ-Centered Preaching (see below for details). Bryan is a teacher of preachers and President of Covenant Theological Seminary, St. Louis, Missouri. A radical renovation is needed! 1. I am an independent researcher who completed his PhD in New Testament in 2015. I live in Brisbane, Qld., Australia. 2. An example of the neglect of historical investigation of the early church’s view of worship and the sermon would be Bruce L. Shelley, Church History in Plain Language. Waco, Texas: Word Books, 1982. There is one page on “the worship of the early church” in Earle E. Cairns, Christianity Through the Centuries: A History of the Christian Church. Grand Rapids, Michigan: Zondervan Publishing House, 1981, p. 83. However, one needs to grant some degree of latitude to the content of a one-volume book that covers 2,000 years of church history. However I consider the nature of what happens when the church gathers to be of vital importance to church life today. 3. Gene Edwards, How To Meet. Sargent, GA: Message Ministry, 1993, pp. 9-10. 4. Kenneth Scott Latourette, A History of Christianity: Volume I: to A.D. 1500. New York: Harper & Row, Publishers1975, p. 115. 6. Philip Schaff, History of the Christian Church (8 vols. in 3 vols). (no place, no date). A P & A, Vol. 1, p. 211. 16. Earle E. Cairns, p. 83. 18. Schaff, Vol. 2, p. 103. 23. Walter C. Kaiser, Jr., Toward an Exegetical Theology: Biblical Exegesis for Preaching and Teaching. Grand Rapids, Michigan: Baker Book House, 1981, p. 43. See the verbal form in John 1:18;Luke 24:35; Acts 10:8; 15:12, 14; 21:19. 24. A. C. Thiselton, “Explain, Interpret, Tell, Narrative,” in Colin Brown (Ed. ), The New International Dictionary of New Testament Theology (3 vols.). Exeter: The Paternoster Press, 1975, Vol. 1, p. 576. 25. Gordon D. Fee, New Testament Exegesis: A Handbook for Students and Pastors (Rev. Ed.). Louisville, Kentucky: Westminster/John Knox Press, 1993, p. 27. 28. Ibid., ch. 3, p. 145 ff. 29. Douglas Stuart, Old Testament Exegesis. Philadelphia, PA: Westminster Press, 1980. 31. John MacArthur, Jr. and The Master’s Seminary Faculty, Rediscovering Expository Preaching. Dallas: Word Publishing, 1992, p. 340. 36. Bryan Chapell, Christ-Centered Preaching: Redeeming the Expository Sermon. Grand Rapids, Michigan: Baker Books, 1994, p. 22. This book is now in its second edition (2005). 37. Haddon W. Robinson, Biblical Preaching: The Development and Delivery of Expository Messages. Grand Rapids, Michigan: Baker Book House, 1980, p. 20. 38. Suggested by ibid., p. 20. 42. Haddon Robinson, “What Authority Does a Preacher Have Anymore,” in Bill Hybels, Stuart Briscoe and Haddon Robinson, Mastering Contemporary Preaching (pp. 17-26). Portland, Oregon: Multnomah, 1989, p. 19. 43. Edwards, How To Meet, p. 4. 45. It means “to think out in great detail; devise; contrive,” William Morris (Ed. ), The Heritage Illustrated Dictionary of the English Language. Boston: American Heritage Publishing Co., Inc, and Houghton Mifflin Company, 1975, p. 458. 46. William Hendriksen, I & II Timothy & Titus (New Testament Commentary). Edinburgh: The Banner of Truth Trust, 1957/1960, p. 310, emphasis in original. 48. New American Standard Bible. 50. New Revised Standard Version. 54. Revised English Bible, which is a revision of the New English Bible. 55. New Jerusalem Bible. Four translations are presented in parallel form for the entire Bible in The Complete Parallel Bible: Containing the Old and New Testaments with the Apocryphal/Deuterocanonical Books. New York/Oxford: Oxford University Press, 1993. The translations included are: New Revised Standard Version, Revised English Bible, New American Bible (not to be confused with the New American Standard Bible) and the New Jerusalem Bible. 56. R. A. Bodey, “Preacher, Preaching,” in Merrill C. Tenney (Gen. Ed. ), The Zondervan Pictorial Encyclopedia of the Bible (Vol. 4). Grand Rapids, Michigan: Zondervan Publishing House, 1976, p. 844. 57. Gordon D. Fee, 1 and 2 Timothy, Titus (New International Biblical Commentary). Peabody, Massachusetts: Hendrickson Publishers, 1988, pp. 100-101. 58. Hendriksen, p. 309, emphasis in original. 59. Ralph Earle, “1, 2 Timothy,” in The Expositor’s Bible Commentary (Vol. 11), Frank E. Gaebelein (Gen. Ed.). Grand Rapids, Michigan: Zondervan Publishing House, 1978, p. 411. 60. Fee, 1 and 2 Timothy, Titus, p. 285. 65. William F. Arndt and F. Wilbur Gingrich (a translation and adaptation of Walter Bauer’s work in German) [BAG], A Greek-English Lexicon of the New Testament and Other Early Christian Literature. Chicago: University of Chicago Press/Zondervan Publishing House, 1957, “orthotomeo,” p. 584. 67. Fee, 1 and 2 Timothy & Titus, p. 255. 70a. John MacArthur, Jr. and the Master’s Seminary Faculty, Rediscovering Expository Preaching. Dallas: Word Publishing, 1992, p. 339. This is from MacArthur’s chapter, “Frequently Asked Questions about Expository Preaching.” After saying, ” I am careful in my books to document my sources,” MacArthur did not footnote his reference to Alexander Maclaren. 71. Gene Edwards, The Early Church. Goleta, California: Christian Books, 1974, pp. 2-3. 74. Since he wrote in 1974, Edwards word was “twentieth” century. 75. Edwards, The Early Church, pp. 1-2. 76. John R. W. Stott, Between Two Worlds: The Art of Preaching in the Twentieth Century. Grand Rapids, Michigan: William B. Eerdmans Publishing Company, 1982, ch. 1, p. 15, epilogue, p. 338. 78. Edwards, The Early Church, p. 4, emphasis in original. Copyright © 2013 Spencer D. Gear. This document last updated at Date: 3 May 2016. This entry was posted in Plagiarism, Sermons on 30 January 2013 by spencer. That is exactly what I have experienced in two churches I have visited in the last six months. Both preachers used sermons from Sermon Central. One of these preachers used the sermon word-for-word. The other used major portions from sermons. But both of them did not give credit for what they did. They stole all or part of the sermon from another preacher. Over the last few months I have attended 2 churches in which I have heard sermons that I later checked on your website to find that they were Sermon Central sermons. No credit was given by both preachers. I regard this as plagiarism. I have checked over your rather crowded website to see if I could find information as to whether a preacher has to give credit for the sermon he preaches from your site. Perhaps you can direct me to your policy on whether it is necessary to acknowledge the source of the sermon. The pastor of the church I currently attend preached sermons from your website over the last 2 Sundays without any credit (I take reasonably extensive notes when he preaches so I was able to pick up the sermons). If a pastor/preacher preaches one of your sermons without giving credit, is that allowed by your policy? Is my regarding the sermon as plagiarism going beyond your policies? I look forward to hearing from you. Our intention is that the Bible is the primary tool for sermon preparation and our site should only be used as a tool to help prepare. Here are some links that provide more information. May I suggest that you take notes of what your preacher is preaching and do a search on Google (or whichever web browser you use) to see if this is coming from another source. You can check on Sermon Central as well. Then talk to the preacher about what he/she is doing. Of the two preachers I have mentioned, one has been spoken to about what he is doing and in his next sermon, he apologised for what he had done and gave credit for the sermon he was about to preached. The next sermon revealed that he is not as good at preparing sermons as the the one he plagiarised. I plan to speak to the other preacher as soon as I’m able to arrange an appointment. My concern is that these preachers are not doing the hard yards of sermon preparation and homiletical construction of a sermon. As a preacher, I know that it is hard work. For preachers who want some help, I highly recommend, learning the principles of homiletics and presentation from Bryan Chapell, Christ-Centered Preaching (2005, rev edn, Grand Rapids, Michigan: Baker Academic), available in hard cover or as an e-book. There is the added problem for me – it causes me to lose trust in that preacher when I know that he is stealing another’s material without giving credit. This is a Christian ethical issue where a fundamental of biblical Christianity, one of the Ten Commandments, is violated, ‘You shall not steal’ (Exodus 20:15 ESV). This is repeated in Leviticus 19:11. This verse also is cited in Matthew 19:18 by Jesus, ‘He said to him, “Which ones?” And Jesus said,“You shall not murder, You shall not commit adultery, You shall not steal, You shall not bear false witness’ (ESV). This is how the apostle, Paul, included this command against stealing: ‘For the commandments, “You shall not commit adultery, You shall not murder, You shall not steal, You shall not covet”, and any other commandment, are summed up in this word: “You shall love your neighbour as yourself”’ (Rom. 13:9 ESV). The New Testament further affirms this teaching in Ephesians 4:28, ‘Let the thief no longer steal, but ratherlet him labour,doing honest work with his own hands, sothat he may have something to share with anyone in need’ (ESV). Stealing anything, including another preacher’s sermon, is a serious assault on a fundamental of Christianity and living in a society where there is law an order. What will you do to make sure that your pastor/preacher remains a truthful preacher and does not steal another preacher’s sermon? Make an appointment with the pastor to share what you have observed. However it is critical that you take with you a copy of the sermon he has plagiarised. This is freely available on the Internet. Do this in a caring, Christian way. I say something like this, ‘Pastor, in the sermon you preached on (give the date), I checked the Internet and found that you took this sermon directly from Sermon Central (or another location). Present him with a copy of the original sermon. Then I ask: What are you going to do about this? If he does nothing, I make an appointment to see the church leaders to express my concern that the pastor is stealing another’s sermon. The ideal outcome is for the pastor to seek forgiveness publicly in the church for what he has done and he promises never to do it again. He asks the people to keep a check on him to guarantee his honesty. The pastor will give credit in sermons for where he gains material, but he will never steal another’s sermon again – without giving credit. Are these reasonable, biblical requirements? It’s a Sin to Bore God’s people with God’s Word. This entry was posted in Plagiarism, Stealing on 30 January 2013 by spencer. This verse states, ‘The Lord is not slow to fulfil his promise as some count slowness, but is patient towards you, not wishing that any should perish, but that all should reach repentance’ (ESV). First, I’m assuming by now you’ve been confronted with the correct understanding of 2 Pet. 3:9 several times since you’ve got ~4700 posts. I guess I’ll do it again! 1. Who is Peter writing to? Ok so he’s writing to Christians. 2. What is the context of chapter 3 and verse 9? What is the topic Peter is addressing? So God is patient toward you/beloved/Christians/God’s elect, not wishing any should perish, but that all should reach repentance. The whole point is, God is patient towards his elect, not wishing any should perish, but that all of his elect should reach repentance. God is delaying the 2nd coming of Christ until all of his elect reach repentance. How does that show patience toward the Christians he’s writing to? It doesn’t. Furthermore, if God truly isn’t wishing that any perish, He better wait until the last human being he creates dies to maximize the amount of people who will be in heaven. Then, when there are no people left, he can send Christ! Yeah, your interpretation doesn’t make any sense in context. It makes much more sense to say God is patient toward His elect, not wishing any OF THEM perish, but that they all reach repentance. That is much more encouraging to think about… that God is delaying the 2nd coming of Christ because of his patience toward His elect. When I think about that, it’s encouraging. God isn’t wishing that any of His elect perish. God wants to bring them all to repentance before sending Christ. If I interpret this to be every single human being, it’s really not encouraging. It’s like, ok so God is going to delay the 2nd coming of Christ for how long? He’s not willing that any person on the face of the earth perish, so how does that show God’s patience toward me? It doesn’t follow. Much more encouraging to know that God has his people here, and he’s waiting for them to repent. God knows what he’s doing. He’s not just sitting by waiting to see what his creation is going to do. That’s not encouraging. B. What are the fundamental errors of this view? These are examples of an incorrect understanding of 2 Peter 3:9, based on the above post. 1. An incorrect understanding of the meaning of ‘you’. Griff’s emphasis was that this ‘you’ in ‘patient towards you’ refers to the Christians who are the elect of God. The Greek for ‘you’ is humas, accusative plural. Because 2 Peter is addressed to ‘you’ Christians – the elect – does that mean that the ‘you’ only applies to Christians? What is the antecedent of any? It is clearly us. Does us refer to all of us humans? Or does it refer to us Christians, the people of God? Peter is fond of speaking of the elect as a special group of people. I think what he is saying here is that God does not will that any of us (the elect) perish. If that is his meaning, then the text would demand the first definition [of God’s will] and would be one more strong passage in favor of predestination (Sproul 1986:197; emphasis in original). 2:12-19 describes blasphemous, sensuous, deceptive human beings for whom’ the gloom of utter darkness has been reserved’ (2:17). ‘Take care that you are not carried away with the error of lawless people and lose your own stability’ (3:17). While these verses are directed to the Christians who have faith, it deals with people who are godless, lawless and unregenerate. Therefore, writing to Christians does not prohibit instruction to and about the ungodly. Therefore, it is consistent biblical interpretation to conclude that 2 Peter 3:8 is appealing to the unbelievers when it states that the Lord is ‘not wishing that any should perish, but that all should reach repentance’. The ‘any’ refers to unbelievers who are perishing and the ‘all’ indicates all unbelievers who should repent. 2. He makes ‘perish’ and ‘repentance’ apply to Christians. Griff stated that ‘God is patient toward you/beloved/Christians/God’s elect, not wishing any should perish, but that all should reach repentance. The whole point is, God is patient towards his elect, not wishing any should perish, but that all of his elect should reach repentance’. The sinners and unbelievers are the ones who will perish according to the OT and Jesus. (b) Who needs to repent? What about ‘repentance’? Who are the ones who need to repent? Note griff’s language, ‘God is delaying the 2nd coming of Christ until all of his elect reach repentance…. Your interpretation doesn’t make any sense in context. It makes much more sense to say God is patient toward His elect, not wishing any OF THEM perish, but that they all reach repentance’. In contrast with the foreknowledge view of predestination, the Reformed view asserts that the ultimate decision for salvation rests with God and not with man. It teaches that from all eternity God has chosen to intervene in the lives of some people and bring them to saving faith and has chosen not to do that for other people. From all eternity, without any prior view of our human behavior, God has chosen some unto election and others unto reprobation. The ultimate destiny of the individual is decided by God before that individual is even born and without depending ultimately upon the human choice. To be sure, a human choice is made, a free human choice, but the choice is made because God first chooses to influence the elect to make the right choice. The basis for God’s choice does not rest in man but solely in the good pleasure of the divine will…. The Reformed view believes that all whom God has thus foreknown he has also predestined to be inwardly called, to be justified, and to be glorified. God sovereignly brings to pass the salvation of his elect and only of his elect (Sproul 1986:136-138). If this is the way God does it, then griff’s statement makes sense that the second coming of Christ is delayed until all of the elect come in. However, this view suffers from major problems (not discussed here) in that it completely redefines the meaning of ‘a free human choice’, which Sproul wants to mean a sovereign choice by God in eternity past for which ‘the ultimate destiny of the individual is decided by God before that individual is even born and without depending ultimately upon the human choice’. This is manipulating the English language to make ‘free human choice’ the equivalent of God’s deterministic, mandating of human beings without the human beings agreement. ‘Free human choice’ thus becomes a euphemism for God’s sovereign demanding. It is deterministic forcing by God and no squirming out of it by referring to deferring to God’s ‘love and justice’ will alter the fact that God’s love and righteousness amount to God’s bullying people into the kingdom. It is as Norm Geisler put it, ‘The extreme Calvinists’ God is not really all-loving’ (Geisler 1999:85). John 1:11-12, ‘He came to his own, and his own people did not receive him. But to all who did receive him, who believed in his name, he gave the right to become children of God’. It should be obvious that ‘to receive’ Jesus involved an act of the human free will. Ephesians 2:8-9, ‘For by grace you have been saved through faith. And this is not of your own doing; it is the gift of God, not a result of works, so that no one may boast’. This passage should seal the matter forever. The faith by which we are saved is a gift of God. When the apostle says it is not of ourselves, he does not mean that it is not our faith. Again, God does not do the believing for us. It is our own faith but it does not originate with us. It is given to us. The gift is not earned or deserved it is a gift of sheer grace (Sproul 1986:119). “Grace” is God’s part, “faith” is ours. And that (kai touto). Neuter, not feminine taut?, and so refers not to pistis (feminine) or to charis (feminine also), but to the act of being saved by grace conditioned on faith on our part (Robertson 1931:525). While this Greek explanation is rather technical, the simple understanding is that the Greek grammar will not allow ‘this’ to refer to either grace or faith as a gift of God. Therefore, Sproul’s statement about Eph. 2:8-9, ‘This passage should seal the matter forever. The faith by which we are saved is a gift of God’, is clearly wrong, based on the Greek grammar. Acts 16:30-31, ‘Then he brought them [Paul and Silas] out and said, “Sirs, what must I do to be saved?” And he said, “Believe on the Lord Jesus, and you will be saved, you and your household”’. ‘Believe’ is a command in the Greek language which is required of this Philippian jailer to implement. Geisler stated the case accurately, ‘The uniform presentation of Scripture is that faith is something unbelievers are to exercise to receive salvation (e.g. John 3:16, 18, 36; Acts 16:31), and not something they must wait upon God to give’ (Geisler1999:184). Someone is sent with the message he / she proclaims the Gospel / word of Christ someone believes by calling on Jesus (for salvation). Luke 13:3, ‘No, I tell you; but unless you repent, you will all likewise perish’. John 3:18, ‘Whoever believes in him is not condemned, but whoever does not believe is condemned already, because he has not believed in the name of the only Son of God’. John 6:29, ‘Jesus answered them, “This is the work of God, that you believe in him whom he has sent”’. John 11:40, ‘Jesus said to her, “Did I not tell you that if you believed you would see the glory of God?”’. John 12:36, ‘While you have the light, believe in the light, that you may become sons of light’. Acts 17:30, ‘The times of ignorance God overlooked, but now he commands all people everywhere to repent’ (emphasis added). Acts 20:21, ‘testifying both to Jews and to Greeks of repentance towards God and of faith in our Lord Jesus Christ’. To make ‘perish’ and ‘repentance’ apply to the elect does not make sense. If Peter is addressing Christians, they have already repented and will not perish. However, this Calvinistic view comes with the understanding that God knows the elect from the foundation of the world and he is waiting until all of the predestined/elected ones come in. That kind of emphasis is nowhere stated in the text of 2 Peter 3:9. In fact, it is a Calvinistic imposition on the text, which means it is eisegesis. ‘Eisegesis is the substitution of the authority of the interpreter for the authority of the original writer’ (Mickelsen 1963:158). The correct method of interpreting any document, whether the Scriptures, a journal or the local newspaper, is exegesis. Exegesis means that when an interpreter ‘examines a document that comes from past time … he must discover what each statement meant to the original speaker or writer, and to the original hearers or readers, in their own present time’ (Mickelsen 1963:55; emphasis in original). I have found a disconcerting tendency among some Calvinists such as griff to impose on the text his Calvinistic presuppositional understanding of election, predestination, limited atonement and other Calvinistic doctrines. This is a tendency that can apply to all Christians, including me. 3. What’s the meaning of ‘any’? Note that 2 Peter 3:9 states that the Lord is ‘not wishing that any should perish’. If ‘any’ refers to ‘any of the elect’ or ‘any Christians’, the word ‘any’ has lost its meaning. The God-breathed Scripture is capable of stating ‘some’, ‘a few’, ‘any Christians’ or ‘any of the elect’. But this verse does not state that. We know from Acts 17:30 that God ‘now commands all people everywhere to repent’ (ESV). It would be bizarre to state that ‘all people everywhere’ really means ‘all the predestined elect everywhere’ or ‘some people everywhere’. The message of 2 Peter 3:9 is that God is not wanting any human beings in the whole world to perish and his desire is for everyone to come to faith and repentance. This supported by 1 Tim. 2:4 where we are told that ‘God our Savior’ (2:3) ‘desires all people to be saved and to come to the knowledge of the truth’ (ESV). This has an OT reverberation in Ezekiel 18:32 which states, ‘For I have no pleasure in the death of anyone, declares the Lord God, so turn, and live’ (ESV). As to your interpretation of 2 Peter 3:9, two Calvinistic commentators, including John Calvin himself, disagree with your attempt to explain away the meaning of this text. So wonderful is [God’s] love towards mankind, that he would have them all to be saved, and is of his own self prepared to bestow salvation on the lost (The Second Epistle of Peter, p. 419, emphasis added). Nonetheless, the father of Calvinism states that 2 Peter 3:9 means that God’s love for all human beings is such that ‘he would have them all to be saved’. That’s Calvin’s understanding of the context. ”Not wanting anyone to perish.” Peter is not teaching universalism in this sentence. In his epistle, he clearly states that the false teachers and scoffers are condemned and face destruction (see 2:3; 3:7; Rom. 9:22). Does not God want the false teachers to be saved? Yes, but they disregard God’s patience toward them, they employ their knowledge of Jesus Christ against him, and they willfully reject God’s offer of salvation. They, then, bear full responsibility for their own condemnation. “[God wants] everyone to come to repentance.” God provides time for man to repent, but repentance is an act that man must perform. (1) requires the meaning of ‘you’ in the verse to apply only to the elect, all Christians. It is shown here that ‘you’ refers to all human beings. (2) He makes ‘perish’ and ‘repent’ apply to the predestined who have not yet responded to Christ when these words apply to all unbelievers. (3) ‘Not wishing that any should perish’ is wrongly attributed to the elect when God is perfectly capable of qualifying ‘any’ with language like, ‘any of the elect’, if that is what he intended. ‘Any’ thus refers to any human being and not the Christian elect. (4) Two Calvinistic commentators, John Calvin and Simon Kistemaker, do not agree with griff’s Calvinistic interpretation. The meaning of 2 Peter 3:9 is that God is not wishing any human being in the whole world to perish to eternal damnation. God commands all people everywhere to repent but he has given all the ability to say, ‘yes’, or ‘no’, to Jesus. The wonderful gift of free will means that many will perish because they do not choose Jesus after hearing the Gospel. See my article, ‘The content of the Gospel’, for a challenge to receive Christ as Lord and Saviour and to follow Jesus as a committed disciple. Sproul, R C 1986. Chosen by God. Wheaton, Illinois: Tyndale House Publishers. Unless otherwise stated, all Bible verses are from the English Standard Version (ESV). This Calvinist is participating in an online discussion at Christian Forums, General Theology, Soteriology, ‘Good News, Really?’, griff #273, available at: http://www.christianforums.com/t7711171-28/#post62087962 (Accessed 1 January 2013; emphases in original). The first definition of the will of God is ‘what we call God’s sovereign efficacious will. The sovereign will of God is that will by which God brings things to pass with absolute certainty. Nothing can resist the will of God in this sense’ (Sproul 1986:195). The ESV translates as ‘and this’. Some of the views expressed in this paragraph are based on Norman Geisler’s understanding of 2 Peter 3:9 in Geisler (2004:358). Christian Forums, General Theology, Soteriology, ‘Good News, Really?’, OzSpen #276, available at: http://www.christianforums.com/t7711171-28/#post62087962 (Accessed 1 January 2013). Copyright © 2013 Spencer D. Gear. This document last updated at Date: 20 May 2016. This entry was posted in 2 Peter, Arminianism, Calvinism, Free will, Grace of God on 3 January 2013 by spencer.